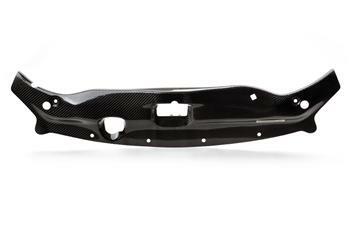 Password JDM Dry Carbon Cooling Plate - Pann Auto Performance - San Diego largest aftermarket automotive performance parts - What do you drive? The cooling system is a vital component of your vehicle’s operation. The radiator needs constant airflow, with minimum turbulence, to be as efficient as possible. Unfortunately, gaps in the structure around the radiator allow air to escape, resulting in lost efficiency. We have designed the Password:JDM Dry Carbon Fiber Cooling Plate to eliminate this problem. By preventing air to escape over the top of the radiator, these cooling plates allow a maximum amount of airflow directly to your radiator, resulting in reduced coolant temperatures during aggressive driving.